It seems like more tech companies are looking to make their applications more user-friendly, especially towards the developing and emerging markets. After Facebook Lite, YouTube Go and others, Skype has now jumped on the ‘Lite’ bandwagon, making it easier for users in developing countries like India to access and utilize the features of Skype seamlessly over restricted connectivity. Microsoft recently held their Future Decoded event in Mumbai a few days ago, where Satya Nadella introduced the Skype Lite application, whose singular purpose is to serve the Indian user. This version of the app will be used to provide a much lighter and less data consuming experience for video calls. And it will be available only in India for now. The app is just 13MB in size and will offer all of the functions of the main app. This version of app is perfect for the nation, because it also supports multiple Indian languages such as Gujarati, Bengali, Hindi, Marathi, Tamil, Telugu and Urdu. The app will feature the major platform functionalities – messaging, audio calling and video calling. Users can sign up through their very own Skype ID. 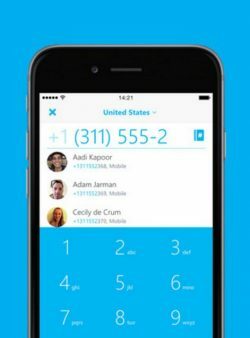 What makes the Skype Lite even more useful is that it provides a tool that tracks data usage, helpful for those on a prepaid plan to monitor where their valuable MBs are going. The app is also introducing chatbot into the mainframe of the app, which seems to be a helpful addition. The Skype Bot Platform, started last year, allowed developers to make their own chatbot to serve different requirements. There is also another useful bot app called the Expedia Skyscanner that looks up the best travel deals. Why this app is uniquely Indian is because of its use of India Stack which are a group of new APIs that allow for the integration of government agencies and make their services available to Indian citizens. The Aadhaar scheme, which is the collection of India’s new proprietary identity system, can be accessed via the app. Using this service, recruiters from outside of India will be able to verify identities as they conduct interviewers of users in India, providing safe authentication and also making the interview process a lot smoother. When both the interviewer and the interviewee are on call, the interviewee just needs to enter their 12-digit ID, along with an OTP number registered through their mobile. Once the verification is done, the app wipes all that data at the end of the confirmation. The Lite app will be available soon on the Google Play store. It will be a great tool for users within India and also help in solidifying the functions of a limited connectivity-induced nation. Although network operators at this moment are currently churning out offers to invite new customers, thanks to the arrival of the Jio network, more and more people are accessing faster internet speeds such as 4G. With apps like these, it makes the deal all the more sweeter.